10 items found searching fields. 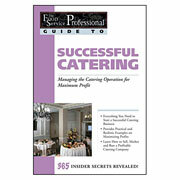 Learn everything you need to start a successful catering business. 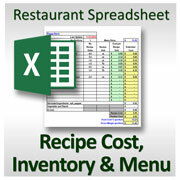 Provides practical and realistic examples on maximizing profits. 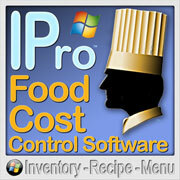 Learn how to sell, market and run a profitable catering company. Part of the new GUIDE TO series from the editors of the Food Service Professional Magazine, this is one the best and most comp... more. This extensive, detailed manual shows you step by step how to set up, operate and manage a financially successful catering business. The new companion CD-ROM contains all the forms from the book in a PDF format for easy use, plus a 100+ page business plan in Microsoft Word.... more. This is the most thorough, concise and easy to follow event planning book available. Whether professional or novice, this guidebook is a must-have whether you are planning the Academy Awards or your daughter's wedding. This book is for creating events for any theme, size, location, or budget. From the initial concept to ongoing managemen... more.